Law Enforcement is one of the largest end-users of surveillance systems globally and is growing as we move into the skies. Ground based cameras, which are widely deployed by law enforcement agencies, show a significant return on investment, and airborne systems are now showing an even greater benefit. Law enforcement agencies across the US are incorporating airborne surveillance units as another tactical advantage in securing public safety. High Definition or Standard HD Imagery gives operators improved situational awareness without sacrificing image quality. There is 300% more information contained in single HD Frame vs a Standard Definition frame. The Cloud Cap Technology TASE500 contains High Definition visible and MWIR (IR) which provides superior imagery at long ranges and an all-digital video path which has no analog to digital conversions to impact the quality of HD. Diffractive Optics or Reflective Optics Diffractive optics condense light with little to no scattering to create sharp images. 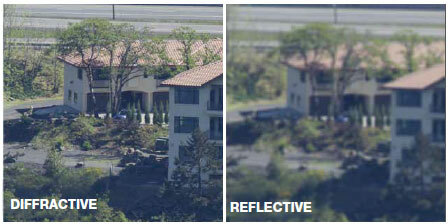 Reflective Optics can scatter light and result in soft, blurry images at the same range. The TASE500 contains diffractive limited optics. Continuous Zoom or Step Zoom A smooth continuous zoom leaves no room for error when monitoring a moving target. Step zoom (or multi-field-of-view) brings you closer through a series of steps of magnification causing a temporary loss of the target. Ask your potential vendor if they offer step zoom or continuous zoom. The Cloud Cap Technology TASE400 & TASE500 offers continuous zoom optics. Cloud Cap Technology has been providing highly reliable battle proven EO/IR imaging systems and autopilots to the military for 15 years. Our payloads have been flown worldwide with hundreds of thousands of flight hours in the harshest conditions. We are leveraging this experience to offer a complete airborne ISR imaging solution for the rapidly evolving Law Enforcement industry. in response to customer needs. We offer customized training based on your mission requirements and flexible integration and support services. Cloud Cap Technology provides the best-value solution to budget conscious law enforcement agencies and airborne surveillance operators. The TASE400 & TASE500 offers the lowest cost, fully integrated solution providing the least impact to air support budgets without compromising quality or performance.